Cut tuna in long strips, about 3 cm thick. Salt and black pepper to taste. Sear the strips in very hot oil for 20 seconds on each side. Place on plate lined with paper towel to cool a little. 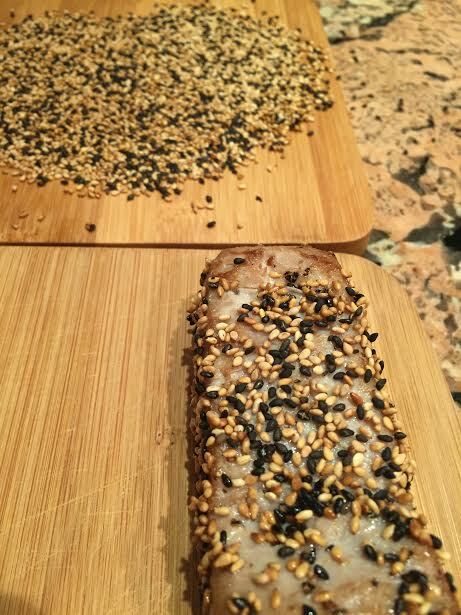 Lightly toast sesame seeds in a dry pan on medium/high heat while stirring. Careful not to burn them. This only takes about ½ minute. 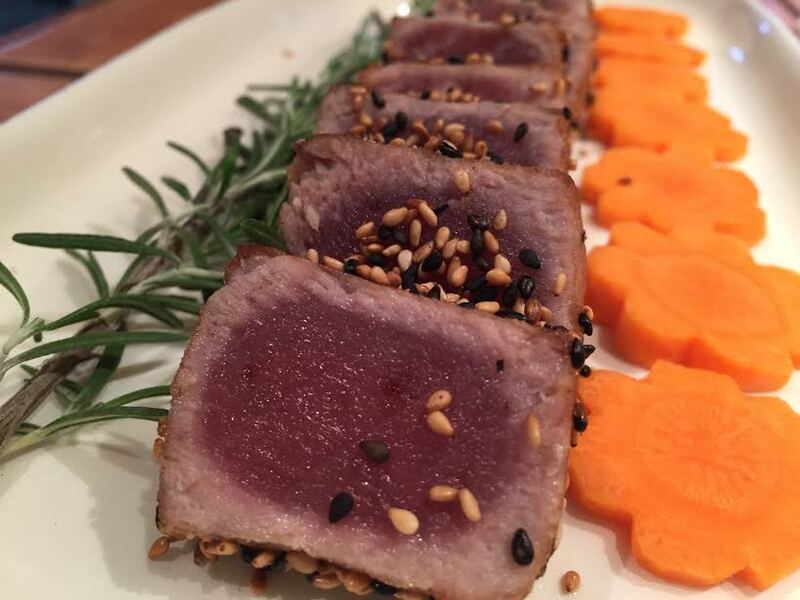 Place sesame seeds on a plate and roll tuna strips to coat them. Cut strips into 1cm slices and arrange on a serving plate. Tuna can be kept in the fridge, covered with plastic wrap until ready to serve. Garnish with cilantro leaves or green onions sliced lengthwise. 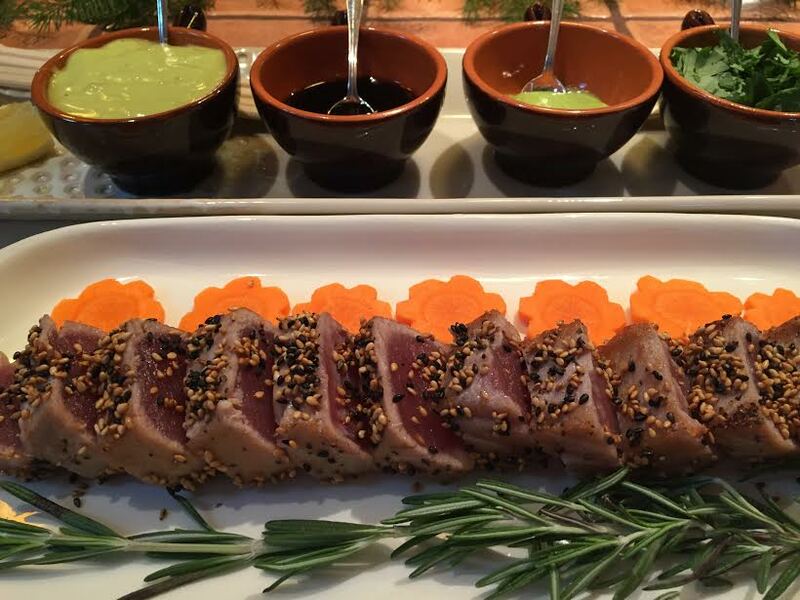 To dip, offer soy sauce, wasabi mayo and hoisin sauce with a splash of lime on the side.